Are You Afraid of Dying? Do You Need Comfort After the Loss of a Loved One? Find insight and peace about the mysterious process of transitioning to the Other Side. Yvonne Perry is a Nashville-based minister, metaphysical author, healing and activation facilitator, and shaman-ka, who helps people shift into their highest and most loving selves. She does this through her books, light language prayers, seminars, readings, coaching, and other spiritual services. 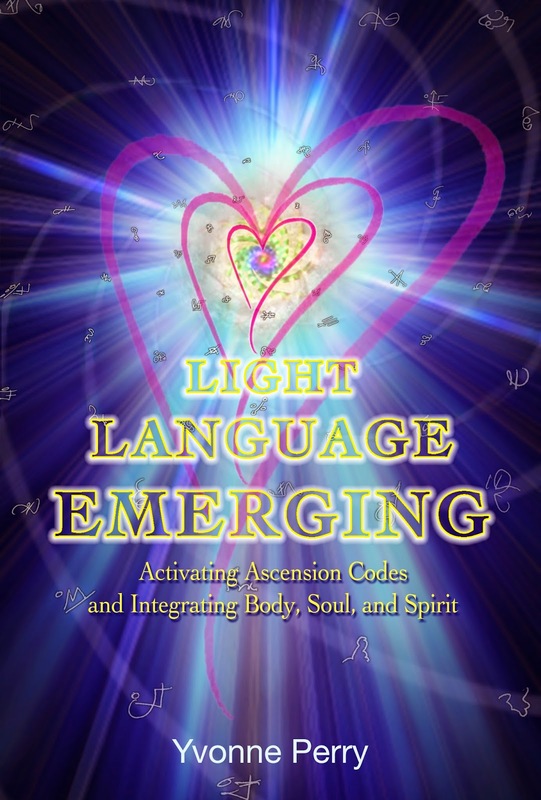 A starseed walk-in and practitioner of light codes, Yvonne accesses the wise guidance of her higher self, the angelic and fae kingdom, ascended masters, galactic assistants, and other advanced beings of light. In her one-on-one healing and activation sessions, she incorporates light language, earth and animal medicine, and light language to help people shift into wholeness and integrate multidimensional aspects of their souls. Holding a Bachelor of Science in Metaphysics from the American Institute for Holistic Theology she understands the “homecoming” or ascension process of the soul. Her participation as an empathic intercessor in fundamentalist religions (and subsequent healing after leaving organized religion) gives her an understanding of the mental and emotional stress that this kind of indoctrination can create for people. 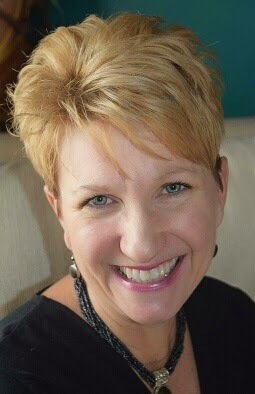 Yvonne is helping to activate people to live an authentic life of wholeness and oneness. Those who are ascending into purer consciousness will find comfort, information, and support to take the next step on this beautiful journey of light. Her teaching fits in well at Earth-based circles, women's gatherings, and starseed discussions. Those who are having unusual paranormal experiences and seeking personal truth about these occurrences will resonate with Yvonne's approach to oneness. 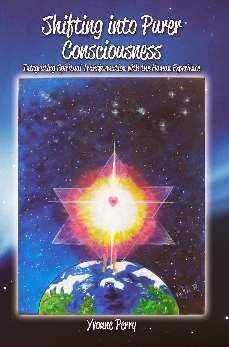 She knows that ascending into purer consciousness is done by integrating the higher self with the body and personality. She does this in the light language activations and galactic readings she offers clients. See WeAre1inSpirit.com for more information. 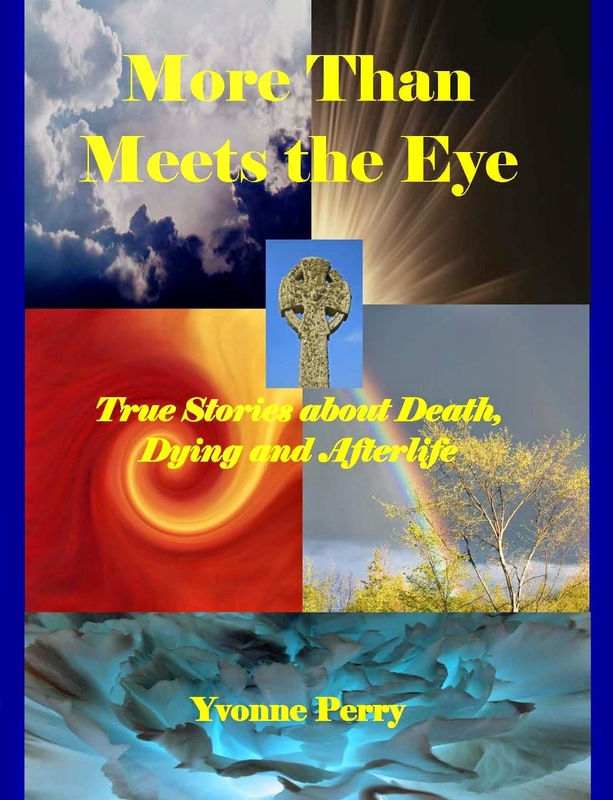 More Than Meets the Eye: True Stories About Death, Dying and Afterlife is available in print, Kindle, and other electronic readers. Find insight and peace about the mysterious process of transitioning to the Other Side. This blog is for a book about death, dying, and afterlife written by Yvonne Perry. The book is filled with candid stories about the entire process of transitioning to the Afterlife from the standpoint of the dying person as well as the caregivers who helplessly watch. Have you had a near-death experience, seen a ghost, felt a spirit presence? Share your spiritual experience regarding death and dying. Chat with the author by using the comment feature below each post. 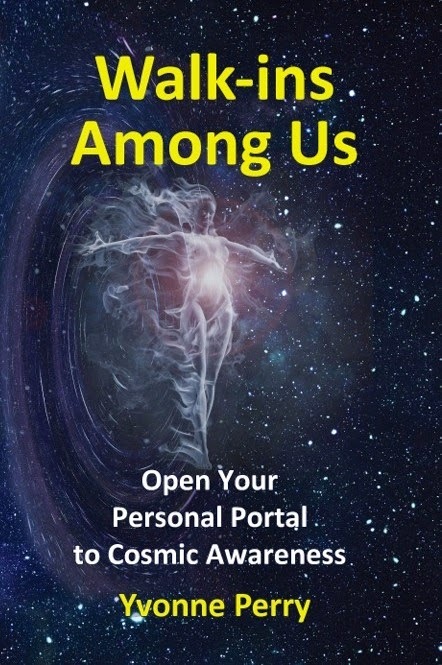 If you have had a strange spiritual experience, you will find comfort and information to help make sense of it in this eye-opening book, written by a walk-in to help others understand the soul exchange process and how to integrate higher vibrations that clear energy imprints that are not aligned with love, light, and joy. Learn how to stay centered and actively involved in your personal ascension process as you discover your mission, purpose, and role on Earth. You may be an empath picking up on the thoughts, emotions, attitudes, and even the illnesses of others. Whose Stuff Is This? is a guidebook for empathic people who have been unknowingly carrying energetic burdens that belong to someone else. 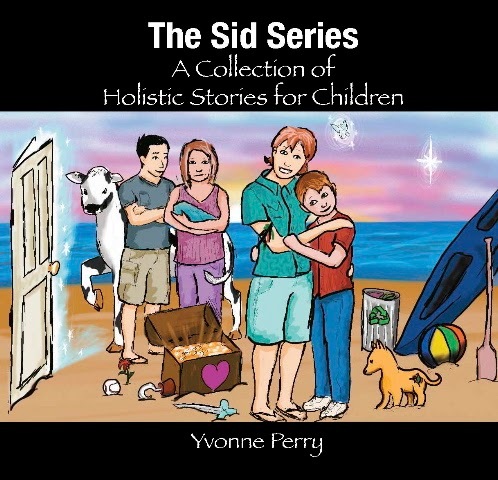 Perry has authored twelve children’s stories known as The Sid Series ~ A Collection of Holistic Stories for Children. These stories build self-esteem and empower young ones to follow their inner guidance and overcome fear. Inspired by her grandson, these stories offer valuable messages that support the whole child—body, soul and spirit—and teach environmental responsibility. 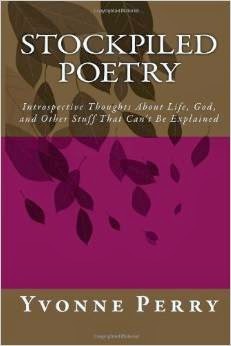 Stockpiled Poetry ~ Introspective Thoughts About Life, God, and Other Stuff That Can’t Be Explained! Stockpiled Poetry is a bunch of plain style poems LavendarRose threw into the file drawer awaiting someone to appreciate them. If you like them, their day has come. You will find a hodge-podge of themes and thoughts in this collection. From throwing pottery with the hippies in Missouri to poems about nature, religion, divorce, love, depression, relationships, the unfairness of life and other dark tales about living in the perfect world. Yvonne's humorous book, Email Episodes ~ A Hilariously Honest Look at Life, is about a woman experiencing an identity crisis as she faces divorce and approaches mid-life with teenagers who are raising reptiles in the basement. A great book of short entertaining stories, which also shares some of life's triumphs and troubles shared by all mothers of teenagers. Those going through divorce, leaving organized religion, or learning to live authentically will appreciate the candid humor. 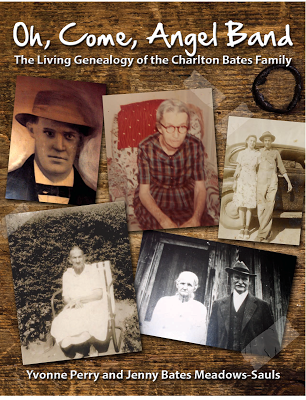 The genealogy of the Bates family of Cherokee County, Georgia is traced back to Charlton Bates and Nancy Kelly (O'Kelly) Bates, who are first mentioned living in South Carolina in 1812. Through DNA testing, we know that our family has a ancestor blood-related to James Shockley Bates.